Love or Lust, What Sort Of Bike Rider Are You? Some cyclists choose their bikes with their heads, some choose them with their hearts. Are you the thoughtful, tactical rider who chooses his bike based on a tick list of features and performance criteria, or are you the seat-of-the-pants rider who knows which bike he wants as soon as he sees it and will stop at nothing until he takes possession. However you chose your ride, here's a pair of bikes to appeal to the cyclist in all of us. Fully loaded for just £1500, the EC130-E is a multiple award and group test winner. It's bested bikes from Specialized, Scott and Canyon and it has been awarded the coveted Aero Road Bike Of The Year award fro 2017 from cycling weekly. 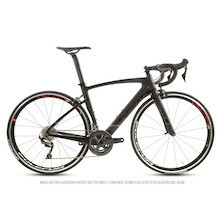 The EC130-E aero road bike is built to do one thing better than any other road bike- go fast. Plain and simple. It's the drag car of the Planet X line-up. Just one look at its sleek lines tells you everything that you need to know about it. It's every bit as fast as it looks and rewards your pedalling efforts with incredible acceleration. Designed and refined in the wind tunnel the EC130-E sets hearts racing with its mindblowing performance and has earned itself a serious reputation with hardened racers and from 3rd to 1st Cat. The EC130-E is more than just refined aerodynamics, its handbuilt carbon chassis is built from carefully selected grades of high modulus and high strength carbon fibre using our Location Specific Placement that puts the right grade of carbon in exactly the right place. It's not just about using higher grades of carbon, it's about using the right grade of carbon for each part of the bike. Each frame is moulded using our EPS Inside construction. Expanded Polystyrene inserts enhance the accuracy of the carbon fibre positioning in the mould. By supporting the carbon from inside we reduce fibre migration in the mould, eliminating wrinkles inside the frame tubes and giving you a stiffer and stronger frame. Shimano's Ultegra 6800 groupset is where the serious performance starts in Shimano's line-up. It's one step down the ladder from their pro-level Dura Ace kit and offers so much more value for money. Lightweight finishing kit and a set of Fulcrum racing Sport wheels finish of this killer bike. Take another look at the EC130-E and ask yourself, "can't I find £1500 to own this slice of cycling heaven?" To ride it is to love it. The RT-80 mixes sporty performance, lightweight construction and serious mile-eating ability into one wallet busting package. Can you find another bike to beat this for under a grand? Built using exactly the same technology as Viner's Mitus 0.6 that Team IDEA 2010 raced at UCI Pro-continental level the RT-80 has been proven on the competition circuit. It's carried Team Zappi's racers across their UK and European schedule and has been proven in the heat of competition. Everyone who rides the RT-80 falls in love with it. 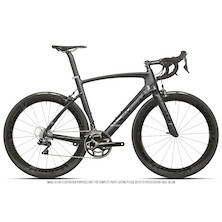 There's no more approachable road bike, as suitable for a hard day's racing as it is for churning out the miles on club rides or you next cycling holiday. The RT-80 is built to be light with strength that comes from within. The front triangle is engineered to give optimum handling, oversized tubes are joined to a tapered headtube and oversized bearings that maximise steering precision and eliminate frame twist when you raise from the saddle to sprint for the line. It's the blend of performance and comfort that sets the RT-80 apart, pencil thin chainstays and a narrow seat post help deliver vertical compliance that soaks up the buzz from less than perfect roads. SRAM's Force11 groupset sits one below their top level RED offering and battles head to head with Ultegra 6800 from Shimano. Ergonomics and braking performance match Shimano every step of the way while SRAM's reputation for durability is unmatched. What riders really love about SRAM is what they take away and in the case of Force11 that's a whole chunk of weight. Carbon fibre rear mech parts and crank arms help to trim the fat so that SRAM Force slides in below Ultegra in the weight stakes. Vision's incredible semi-aero Team 35 wheelset and a lightweight finishing kit complete this price busting offering. Balancing your desire for performance with day-long riding comfort, the RT-80 combines refined geometry and advanced design features to offer a smooth, more compliant ride - perfect for long days in the saddle. Own it, ride it, love it.